Corona Renderer uses the GGX microfacet model to deliver realistic–looking metals and other glossy materials. Our implementation of the GGX model fully conforms to the industry standard physically–based rendering (PBR) workflow. This model produces much more plausible results compared to legacy models such as Blinn, Phong, or Ward. Because of our state–of–the–art implementation, using this model does not incur any speed penalty unlike in other microfacet models. The materials also allow for easy import from third–party applications such as Allegorithmic’s Substance tools, and Quixel’s Megascans. There's also our resources section which contains more high–quality materials from well–known artists and companies. All these free materials from the Material Library and the resource section are a great way to get started with Corona! 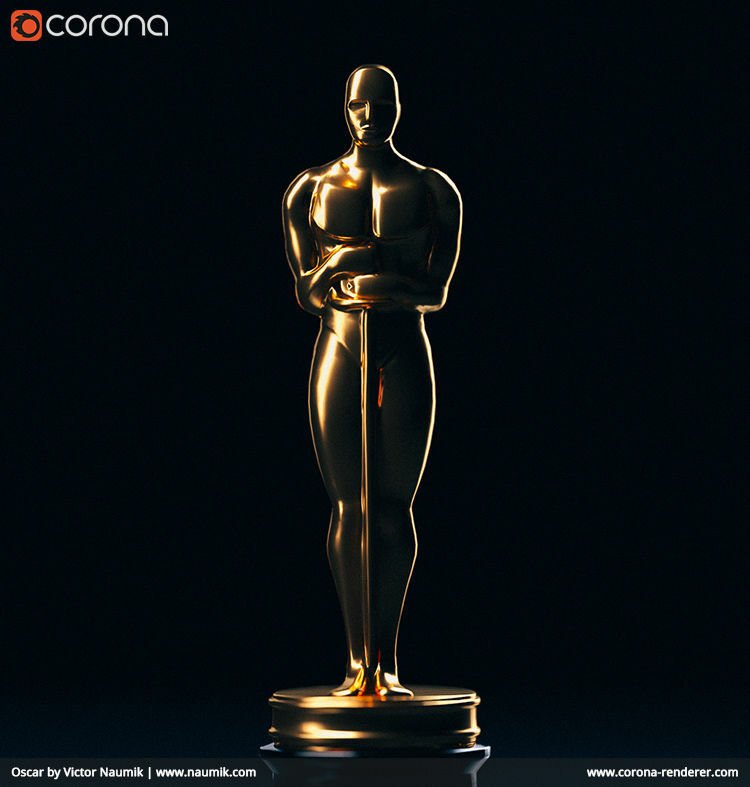 Corona Renderer also features a powerful approach to Volumetrics and Subsurface Scattering. 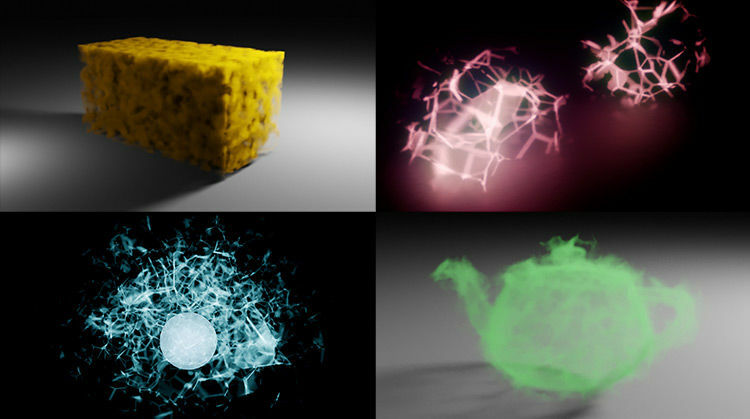 Historically, there were many algorithms for volumetric rendering, most of which relied on interpolation, fakes, and heavy bias to compute the result. Fortunately with modern CPUs in combination with our research, we have been able to ditch all of these outdated options and go straight for the most accurate, 100% ray traced solution. Even we were surprised by how fast the unbiased, un–interpolated solution could be! 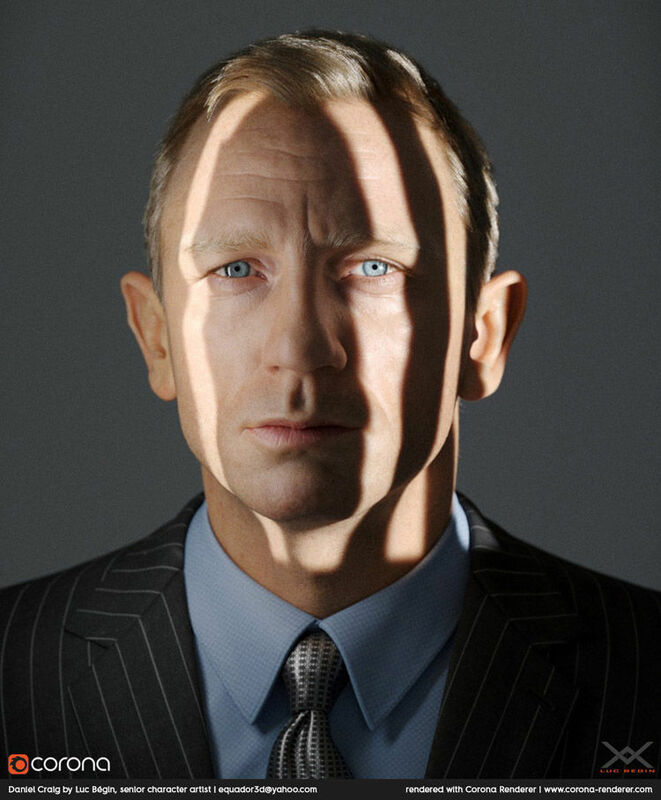 Skin is one of the most complex materials to render, with many unique properties that cannot be covered in an all–purpose shader. The new CoronaSkinMtl shader makes it easy to control and adjust the look of the skin, and renders fast and efficiently with realistic results. Even if you have never tried rendering realistic skin before, you’ll find it easy to use and will get great results with the default settings. 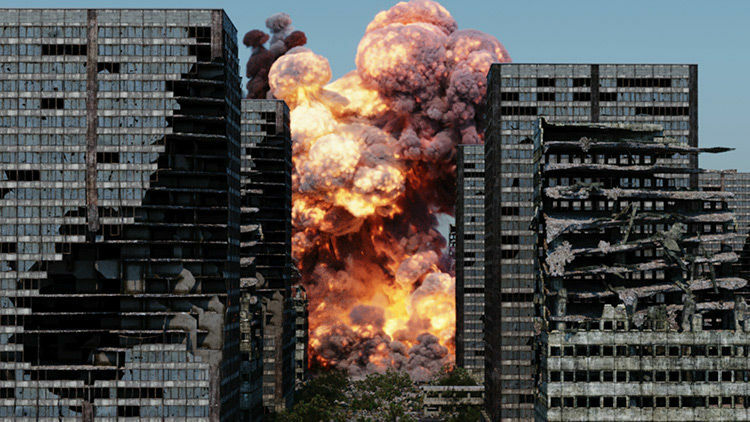 Setting up volumetric scattering or SSS is often especially challenging, but Corona Renderer’s implementation in the all–purpose Corona Material makes it simple. It doesn’t need any sampling controls, as all sampling is done automatically. This makes its UI extremely simple: just set up the scattering and absorption properties for Volumetric mode (for liquids, glass, clouds, etc.) or the Amount, Radius and Scatter color for SSS mode (for skin, wax, food, etc. ), and press “Render”. The Corona Volume Material offers an “Inside Volume” mode for true 3D volumetric materials. For example, by using a 3D noise map, you can have fog that varies in density in true 3D throughout the scene. Combined with the Corona Distance map, the possibilities are endless! You can’t have a great skin shader without also having a great hair shader! Corona Renderer’s dedicated hair shader keeps with our philosophy of delivering physical realistic results, fast rendering, and a simple UI. Once again, even if you have never rendered hair or fur before, you will get great results even from the defaults. 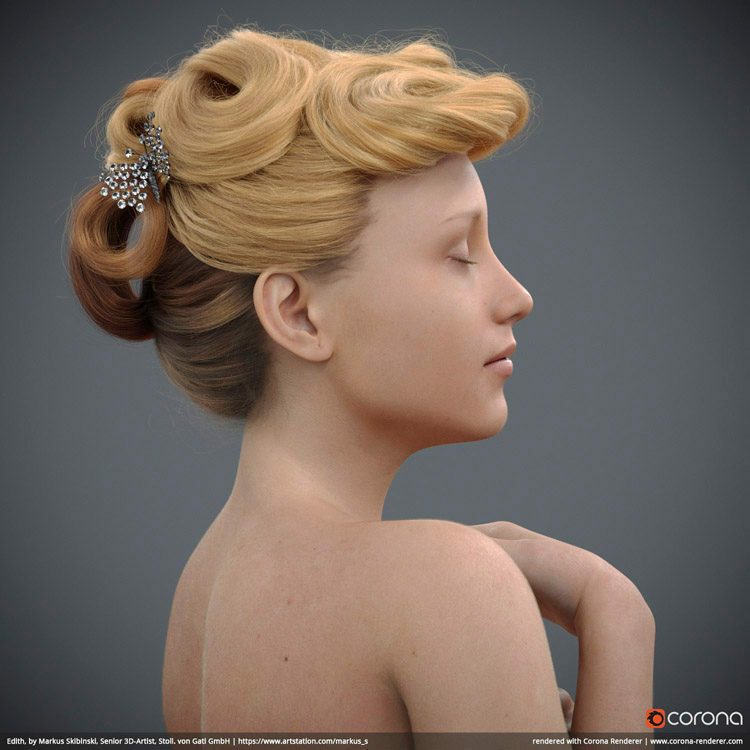 Corona Renderer also supports native 3ds Max hair and fur, and Ornatrix and Hair Farm, so that the Hair shader will work for you, whatever plugin you use. By default, 3ds Max treats bump maps differently, so that some maps do not work as inputs to bump mapping. 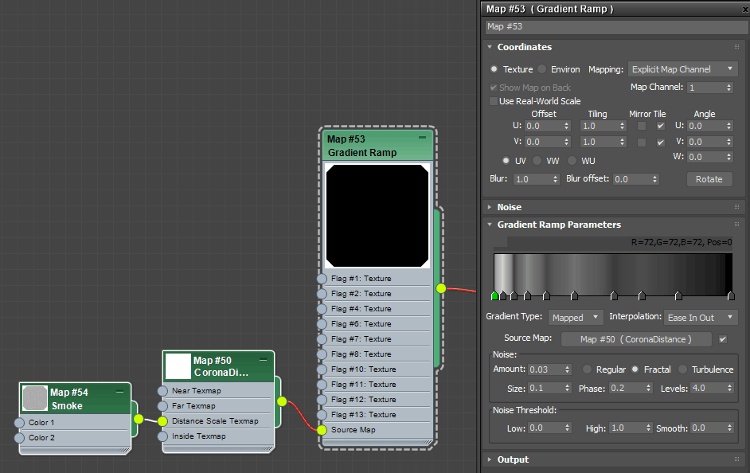 The Corona Bump Converter resolves this, allowing you to use any map as an input to the bump map channel in a shader. It also lets you use the 3ds Max native Output to apply adjustments to your bump map and get the results you would expect. Corona Renderer comes with many useful maps that you will soon find indispensable, such as Ambient Occlusion, UVW randomization, Multimap, Triplanar mapping, and more. We’ll take a look at just one here, the Corona Distance map. This flexible map can be used with Corona Scatter to easily achieve effects like keeping paths, roads, etc clear of plants and trees, and can also be used for creative effects such as adjusting materials based on distance to place ripples around an object in water, to cause objects to start glowing as they move close to each other, and more – it really is only limited by your creativity! In the example below, the ground (with water included) and log were brought over from Quixel Megascans. The “Corona Distance map disabled” image looks a little unnatural, as the water appears completely still. By using the Corona Distance Map to add extra displacement around the log, blended with the original displacement from Megascans, we can give the effect of ripples specifically around the log. Best of all, since this is procedural, if you move, scale or rotate the log object in the scene, the displacement effect will update automatically. For quick tests, or even for debugging a scene, it can be useful to override the materials with one simple material. This is easy to set up in Corona, with options that let you leave some materials (such as portals, glass, or light materials) unaffected by the override.